PRESQUE ISLE, Maine — The staff at the University of Maine at Presque Isle’s health and wellness facility are kicking off the academic year with a Wellness Week, to be held from Monday, Sept. 10 to Thursday, Sept. 13, and campus and community members of all ages are invited to take part in fun and free activities focused on healthy living. The week’s activities are being led by Keli Marston, UMPI’s Fitness and Wellness Coordinator at Gentile Hall, and are focused on fresh starts and well-being. The fun begins on Monday, Sept, 10, with an open house and free tours of the fitness facility in Gentile Hall from 8:30-10:30 a.m. Marston will show attendees the new fitness equipment installed in the facility in August. She’ll also offer two free fitness classes during the day—a Fusion class from 12-12:45 p.m. in Campus Center Room 112, and Fit Camp from 5-5:45 p.m. in Gentile Hall. On Tuesday, Sept. 11, Marston will lead a walk from Gentile Hall to Mantle Lake Park from 10:30-11:30 a.m. She will also offer a free Circuit Training class from 12-12:45 p.m. the same day. Wellness offerings for Wednesday, Sept. 12 include free blood pressure screenings at Gentile Hall from 9-10:30 a.m. and a free Fit Camp class from 5-5:45 p.m. in Gentile Hall. To cap off the celebration, Marston will offer one last free fitness class, her Fusion class from 12-12:45 p.m. in Campus Center Room 112. “We’re really excited to be offering another Wellness Week at Gentile Hall, and we encourage everyone to come and see first-hand everything that our health and wellness facility and staff have to offer to meet your fitness needs!” Marston said. For more information, contact Marston at 207-768-1202. 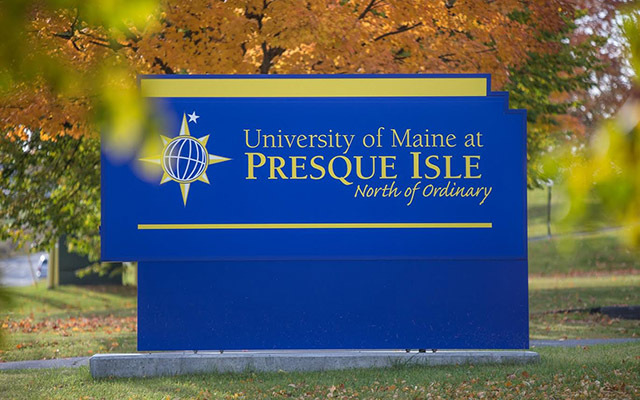 Submitted by the Community and Media Relations Office of the University of Maine at Presque Isle.